Great audio is one of the most important aspects in any event or production. If there are technical interruptions (or your audience cannot hear clearly) your message will not be carried across and this will reflect poorly on your event as a whole. At U-neek Sound & Lighting, we pride ourselves on providing professional audio services for small meetings to large conferences, theatre productions, concerts, product launches and everything in-between. Whatever your needs are, you can count on our highly trained team to create the perfect solution for your venue. – Ambient lighting around a room or venue to enhance the decor and set the mood of any function. By using up-lighting while working with the draping at a function, the effects created will transform your event into something spectacular. – Stage lighting for events and functions will bring your show to life, creating a palette of stunning effects. 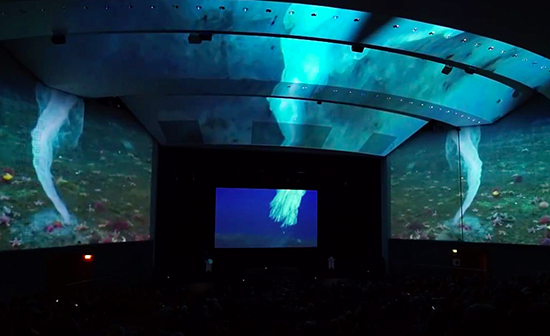 – Logo projection onto walls or sets in a venue which can either be static or move around the room. This is a great option for promotions or sponsored events. We believe that no two lighting designs should be the same. Each design should be custom for the specific space and needs of that individual project. – We at U-neek, provide staging with the necessary draping for small to large events with options of height depending on your requirements. We also stock stairs of various shapes and sizes to enter and exit the stage. 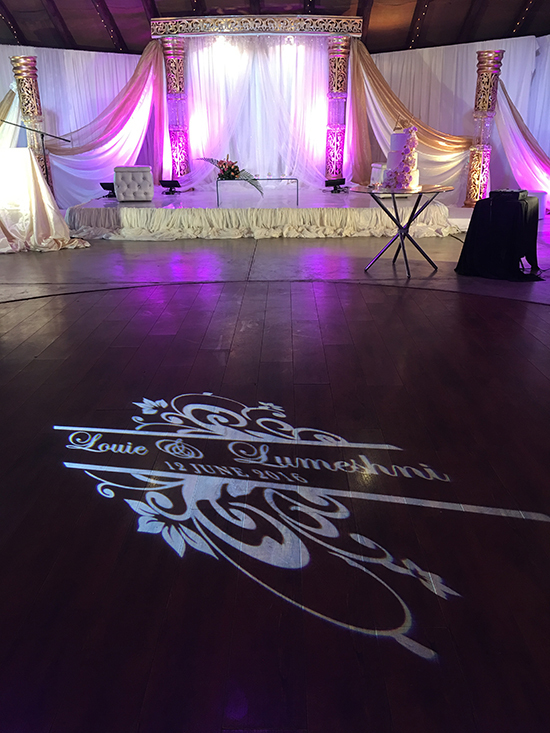 – Our stages can be transformed from plain black into an all white structure which adds elegance to a formal or extra special occasion. 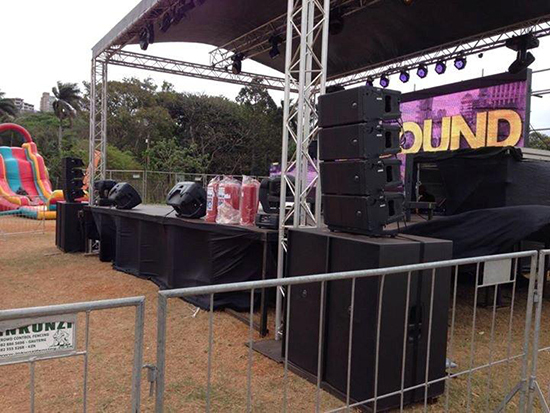 – Should you take your event outdoors, we are able to provide stage covers and structures accordingly. Our team of professionals work closely with you to ensure a successful finished product. After months and even years of planning your special event, you don’t want a single moment to go wrong. We offer a U-neek and bespoke service to each and every one of our clients. 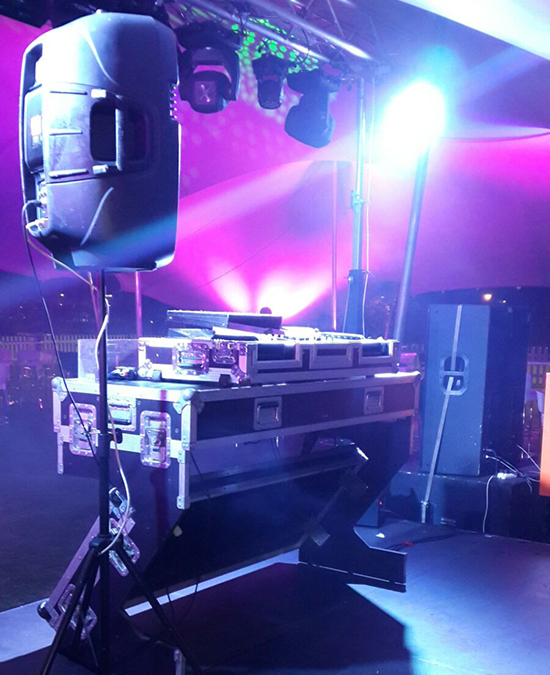 Our aim is to provide a smart and stylish disco set-up with professional equipment and a friendly, modern and reliable attitude. We provide DJ hire for any occasion at competitive prices, corporate events, weddings, birthdays, proms, bar and club nights. No venue too large, no occasion too small. We will provide a perfect end to your perfect day. 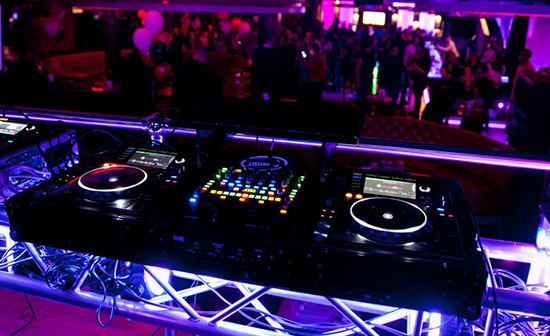 Our DJ’s are well experienced to play music to crowds of any size and age. Our AV services include small single display to large format projection screens, LCD screens, data projectors, live camera feeds and video recording. We at U-neek Sound & Lighting are constantly ahead of the curve utilising the latest technology available together with experience, creativity and the ability to bring your dream to the BIG SCREEN! 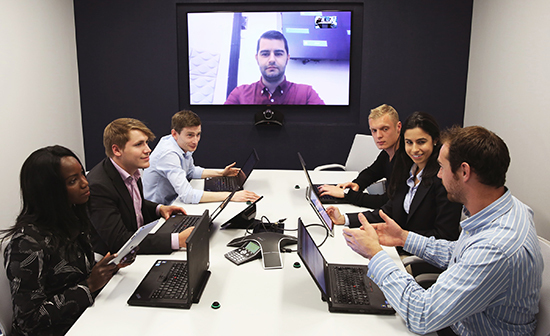 Our U-Neek team can take care of all of the communication for your remote business meeting, product demonstration or conference. A typical live video stream uses 2 or more high definition cameras, sound equipment and a compact portable production unit. The process is to capture the footage and audio, encode the video/audio for streaming, and then rebroadcast the content to multiple viewers.